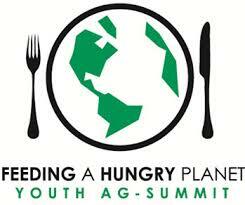 The 2015 Youth Ag-Summit, to be held in Canberra Australia in August, will be a unique opportunity for young leaders from around the world to hear from global opinion leaders, create a vision and deliver actions to “Feed a Hungry Planet”. The core purpose of this meeting is to build understanding and trust around these complex and challenging issues. We hope to create lasting networks, and define real solutions, either small or large, that you can implement in your future careers for the betterment of society as a whole, and your own personal growth. As of 24 August 2015, participant must be a legal adult in the participant’s home county and not younger than 18 or over 25 years of age. Legally able to travel internationally. Holding a valid passport, with at least six months validity after August 20, 2015. Participant is solely responsible for obtaining any and all necessary travel documents to travel to and from his or her home country. Proficient level of English/able to communicate orally in English. Some public speaking skills would be an asset. NOT an employee of a Bayer entity or direct family member (e.g. spouse, son or daughter) or live in the same household of a Bayer employee, consultant or Essay Selection Committee member. NOT a previous delegate to the 2013 YAS. Posted on January 8, 2015, in Africa, Career, Education, Gender, Women, Girls, Global, Opportunities, Uncategorized and tagged 2015 Youth Ag-Summit, YAS, Youth Ag Summit. Bookmark the permalink. Leave a comment.